YNot Web is pleased to announce it has added more convenient, secure, and quick ways for our clients to submit payment. 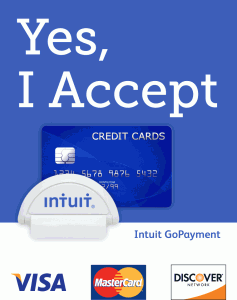 For new clients, we can now process secure on-the-spot credit card transactions using Intuit’s GoPayment. In addition, we are now offering online payment options for our invoiced clients through PaymentNetwork. Through PaymentNetwork, clients can pay their invoices by clicking a link in the email notification and choose to pay using direct bank deposit or using a credit card. If you have any questions about your next invoice or making a payment using either of these methods, please give us a call at 916-436-1638!